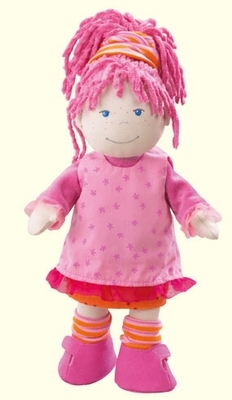 With a cheerful embroidered face, colorful clothes and a soft body, this doll is perfect for cuddling! A padded body, chenille hair, cotton/polester and velour clothing. Washable at 86 degrees Fahrenheit. Measures 12".